So I spent my Sunday Morning taking photos of the contents currently in my bag, which is a GIANORMOUS one despite I don’t really carry much around haha! 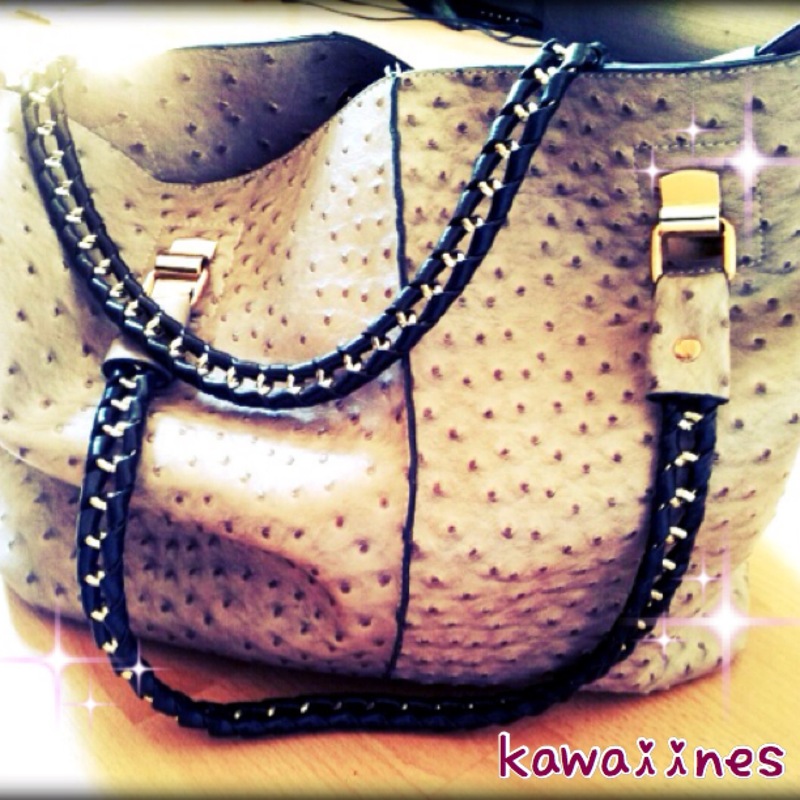 I like the oversized bags but I hate bulkiness! 1: e.l.f Studio Blush in Pink Passion – My most favourited blush at the moment! Oh so bright & gives an instant glow! 2: Bobbi Brown Moisture Rich Foundation – Goes on a like a dream, looks fab without the heaviness! Plus it contains SPF protection! Perfect! Please see my review with before and afters here. 3: Loreal Rouge Caresse in 06 Aphrodite Scarlet – Butter soft, Lightweight, easy to apply & gorgeous colour I take it everywhere for quick touch ups! 4: Eyeliner from Sasa.com: Super thin nib, I mean SUPER thin! High Precision lines every time! Couldn’t live without it! 5: YSL Touche Éclat: Every lady should have one in their bag! Instant pick me ups throughout the day! 8: Blistex Lip Relief Cream – Now this is the one product I CAN NOT live without! I have dry lips that play up badly when a tube of this relief cream isn’t around to save me. If they were to discontinue this cream, I believe that would also be the end of me.. No I am not being dramatic. 9: Metal Ring hair Tie from H & M: Working in a Kitchen means having to tie my hair back come the night shifts, but that doesn’t mean my hair have to suffer. My pony still looks trendy slicked back in this super edgy hair tie. 10: Nivea Soft Cream: All over cream for hands, face or body, I always carry one around for emergencies like dry nose syndrome! 11: Chanel Mademoiselle Perfume: My Favourite Fragrance, smells divine with the first spritz and just gets better throughout the day! 12: My iPhone, sad to say that my life isn’t complete without it. I do everything on it, photos, games, catch up with friends, organise my day. Can’t imagine life without it. 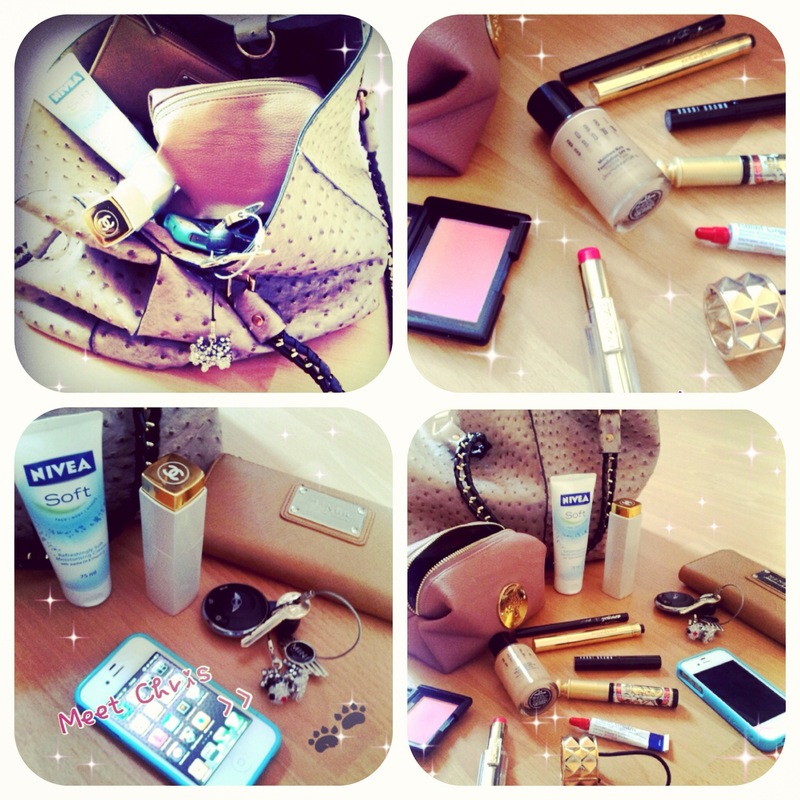 13: My car keys to my beautiful Cream Mini – For traveling in style! :) oh and say hello to Chris, the crystal dog. 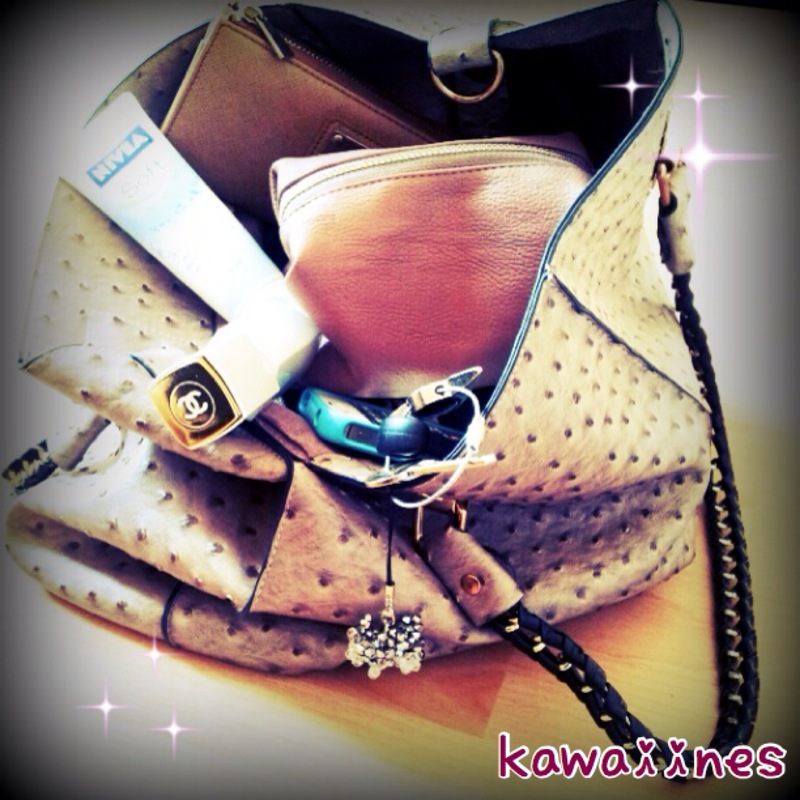 14: Tan Purse by Mango – I love long wallets, cant stand folding my cash and fumbling around for change. This one opens and everything is neatly in place for easy access! PHEW! That took an age to go through! I swear it doesn’t seem like much in reality! haha! Anyway I hope you enjoyed reading this post as much as I enjoyed putting it together! Tags: Blistex, Bobbi Brown, Chanel Mademoiselle, e.l.f Cosmetics, Handbag, Hong Kong, iPhone, Loreal, Mango, Mini Cooper, Nivea, What's inside, YSL Touche Eclat. Bookmark the permalink. The ephitamy of why women have large bags… Love it. :O i said im gona do a post like this! pfft beat me to it! I already knew what was inside your bag though so boring for me to read… u failed to miss out your banana. HAHA mature Lea! u make me laugh! I love the elf pink passion blush too…I’ve been meaning to do a post like this for ages..You’ve inspired me to get it done! Great post kaka!